So, Pathfinder. The apple of my eye, where my heart goes to play, the one place I will always escape to. How can I even begin talking about Pathfinder and how to run it? Each session, each character, is an expression of the creator, so I can’t tell you how to do it right, only you can. All I can do is share what I feel I did right, and I’ll do so from the start. 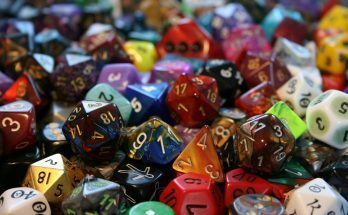 I played DnD 3.0 for a year before 3.5 came out, and then I stopped playing with that group. Also “Pathfinder” became a thing, but I wasn’t interested in that. Leap forward ten years and reintroduce me to the idea – DnD 3.5, but the next edition? YES PLEASE! I would start a campaign, entirely my own, from level 1 up to the level 20. It was big. It was ambitious. It was perfect. For my first session I only got one player, but she still plays today and I’ve since gotten about 15 irregular players, depending on the game, style, and nowadays whether it’s Starfinder or Pathfinder. Though it all started with the simplest pieces of equipment: pen and paper. And the Core Rule Book and Bestiary, of course, but you need to get your ideas DOWN. Then they’re out of your head, and something you can work around with. The first thing I did was read both books, cover to cover, and with my pen and paper always beside me I wrote down every inkling of a story idea I got and wrote the name of every monster I knew I wanted to use. Ants were first, and I loved their multi-level build with the use of a few simple templates (queen? worker? drone?). The treant was an obvious one, because who doesn’t like a Tree-beard knock off in their game? (Mine was named Blu’ka.) And what about the big bad monsters of the past, like the random owlbear (honestly who invented that? Where’s the sheepfish for that matter? ), and while I was at it I wrote down monsters that looked like they could actually take jobs within polite society. The sphinx was the first one I employed; who better to run a library of great value than a puzzle master, right? And as I read the Core Rulebook more and more characters spring out at me. Monks got flurry of blows, so that seemed natural for an half-orc. What about a bow and arrow, but for a merfolk the PCs had to save? It could shoot off a few quick rounds, but they had a 5-ft. land speed! The PCs would hate that! And then there were the humanoid races, like the sverfneblin (not a typo – EDITOR’S NOTE: I have no idea what Moriarty is referring to here. Svirfneblin perhaps? – Then again, he IS a mad genius trying to take over the world). There was a whole underworld hinted at in just their entry, with a people, culture, different ways of living. Enough to set about 4-5 adventures around, and that’s just what I did. My small start would quickly grow and add more, and while I still have my original list of monsters I wanted to use, I haven’t used even half of them. As more and more players joined my games I had more ideas for settings. There was my serious game, my version of the Lord of the Rings, but a friend wanted more “adult” adventures, so Bottomsley was born (and features a set of special dice with no numbers on them…). And I was always intrigued with how the monstrous races saw themselves as heroes, so I ran a campaign where the 7 core races were banned – you were the bad guys and were taking the goodies down a peg or two. Enter a tengu, tiefling and aasimar couple, drow and grippli team, wherein the closest to a good alignment I got was “lawful neutral” with a PC who owned their own gentleman’s club. And not just alternate campaigns, but one-off adventures that were NEVER one-off sessions. I loved the clockwork dragon when I first set eyes upon it, and decided to write a story that changed 3 times before being played. Initially, it was a birthday gag for a friend, where the whole story was set inside a giant’s playroom, the clockwork dragon being a mere toy that blew up at the stories end. That changed into the clockwork dragon being a figure that needed saving, and it could only communicate via a pink-scaled kobold of all beings. Finally, it was a call to action, welcoming heroes to join the kobold on a quest to free the dignified beast, but doing so revealed the reason for its imprisonment – a jabberwock was afoot, and the clockwork dragon was the alarm call to action, as well as the first to fight it. As the story came to a close the PCs were treated to a spectacular clash between a CR 16 dragon and a CR 23 dragon, while the “heart” of the clockwork dragon fell to the ground, a treasure chest full of useful items as well as a humble, green, vaporous vorpal dagger – How could I end the story there? I wanted to see what happened next!! None of this would have happened though if I had not had pen and paper ready to write down my ideas, born naturally from reading these books, daydreaming at work, etc. An idea is good but written down it is something you can work on, and share with your friends. Playing the story together makes it worth a great deal more, and so I guess I should say that the second thing you need is players. It helps to be a writer, but that’s only because I’ll never tell myself “That’s a dumb idea” or “That’s already been done before.” It’s true that some ideas feel dumb, but that just means they don’t fit the feel you’re going for. And it’s always going to be true that your idea has been done before – but never By You. That is the one key thing every creator has and what makes your efforts worthwhile – no one else will do your stories your way, and that’s why you’re the GM. So with that flurry of ideas, and a burst of excitement, welcome to my articles on Pathfinder. Hang on, what AM I talking about? Rolling 20s is the sole and only reason to play, period! Join me next time when I tell you about my first ever NPC, “Pabio, the most beautiful halfling in Golarion”. You won’t want to miss it, darlings. Previous Article Design Finder 2018 Is on NOW!! !